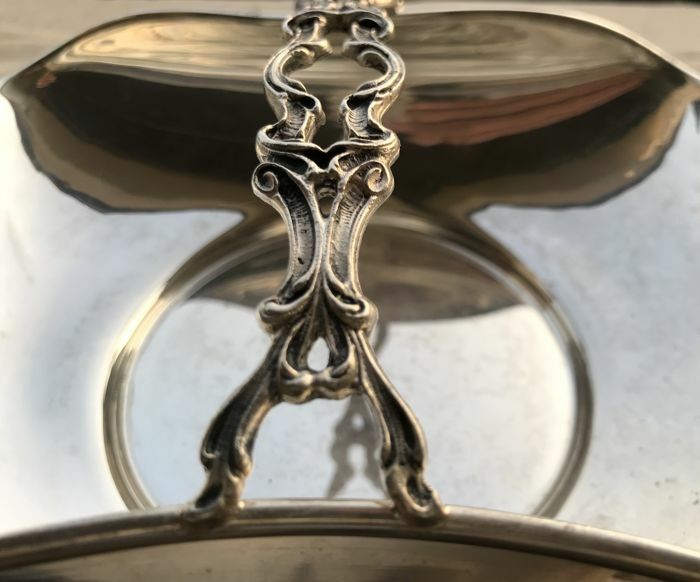 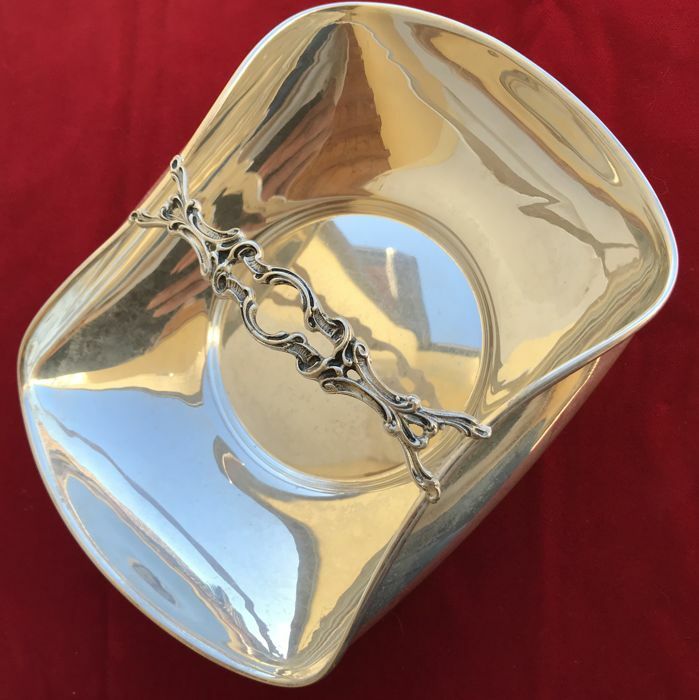 Basket with finely decorated handle in silver 800. 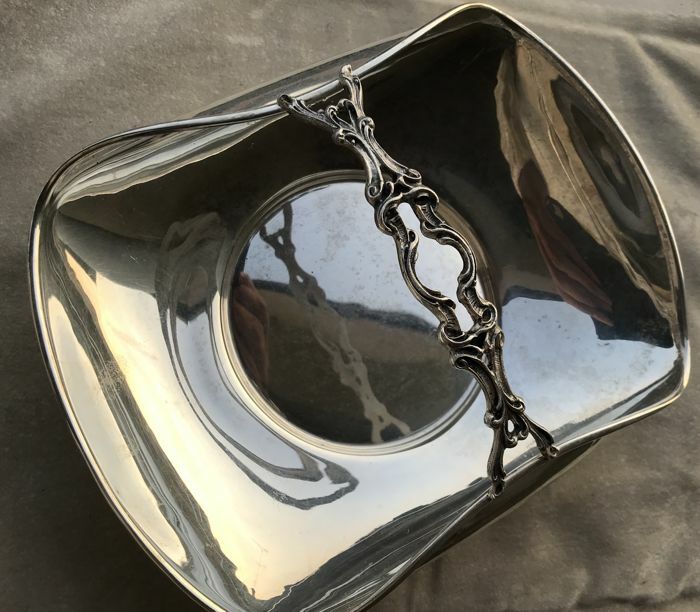 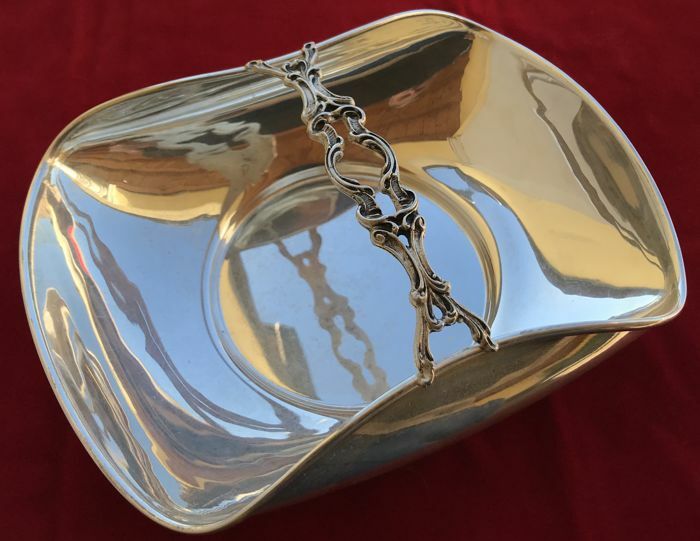 It can be used as a bread basket or a candy bowl. 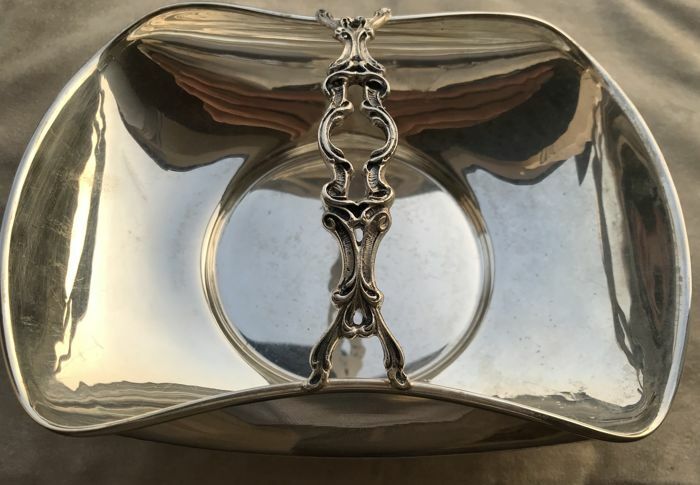 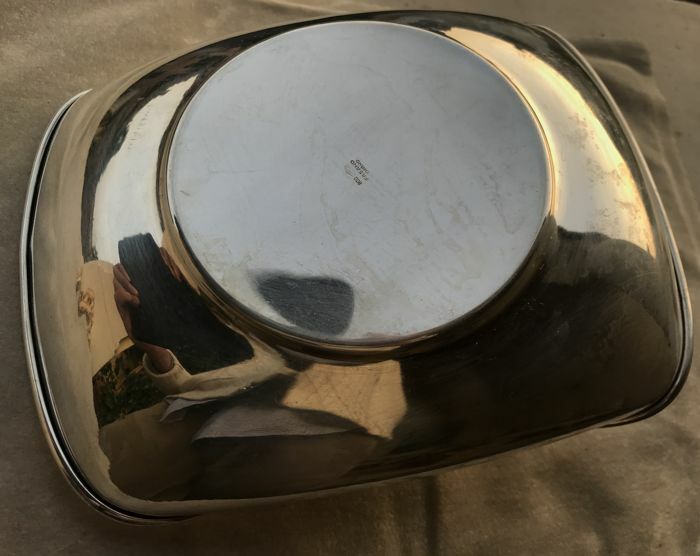 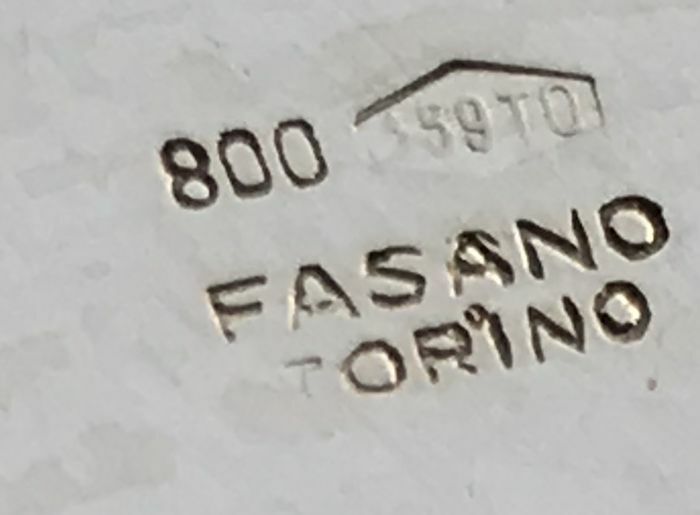 Realised in the 1950s by the Italian silversmith Fasano of Turin (in his laboratory in Via Roma). 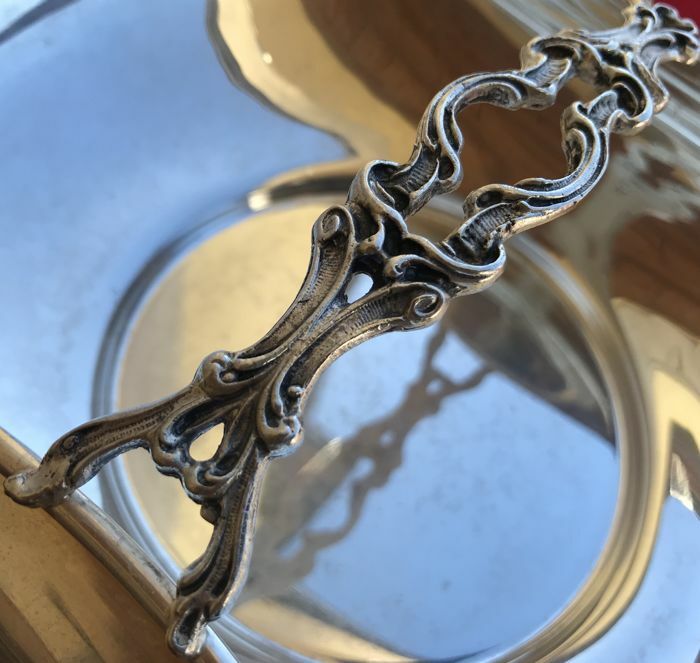 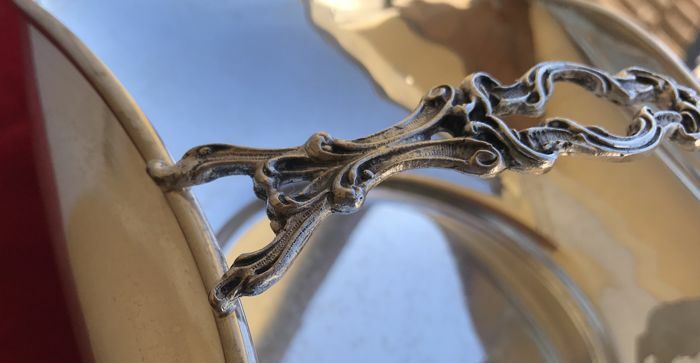 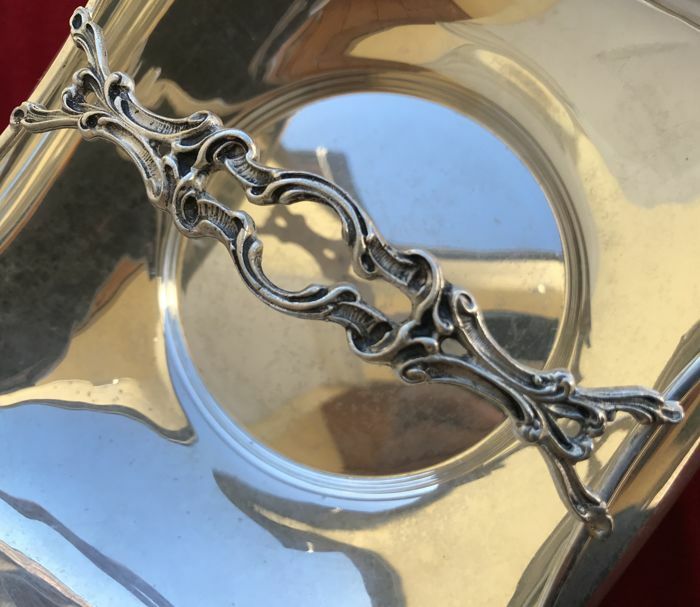 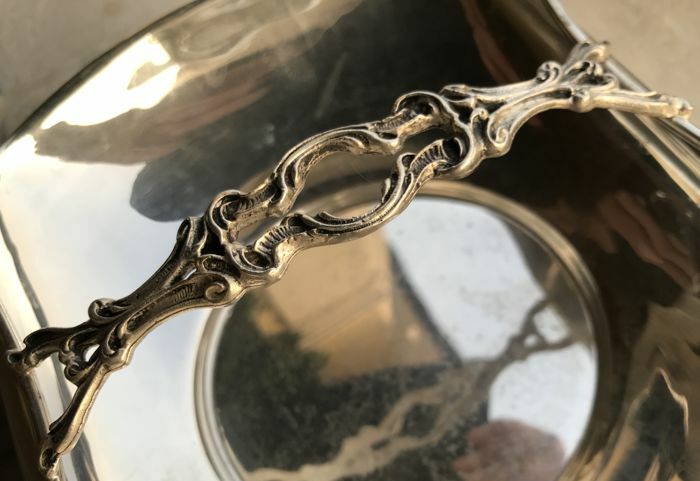 The precious handle in Rococo Revival style has been realised using the lost wax casting technique. 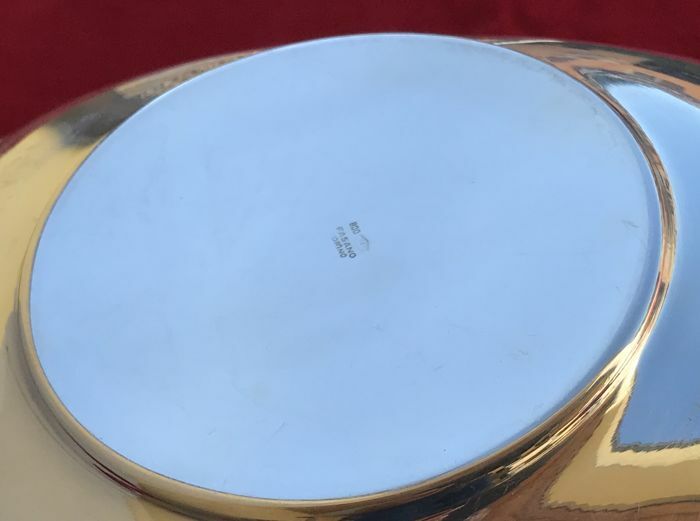 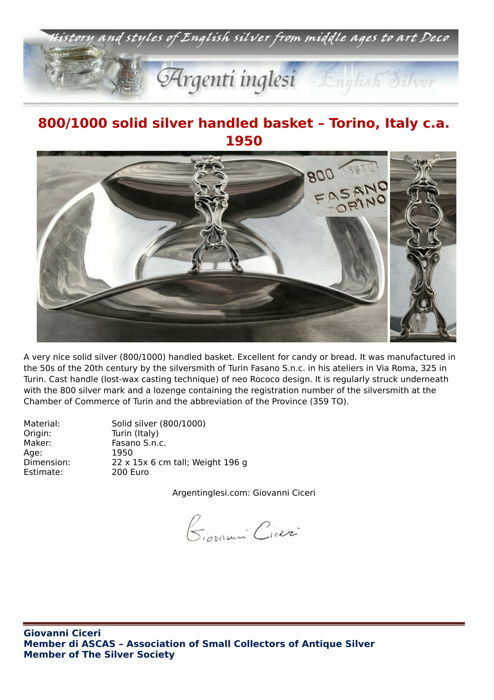 The basket is properly marked under the base and shows the serial no., registered by the Chamber of Commerce of Turin, and the abbreviation of the province (359 TO). 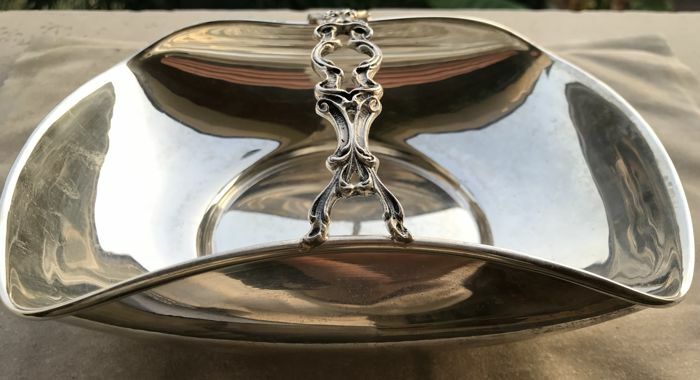 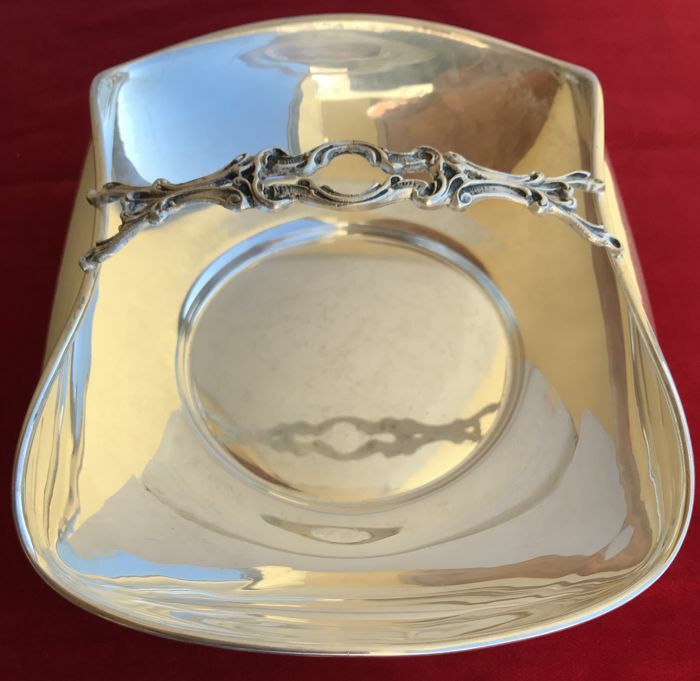 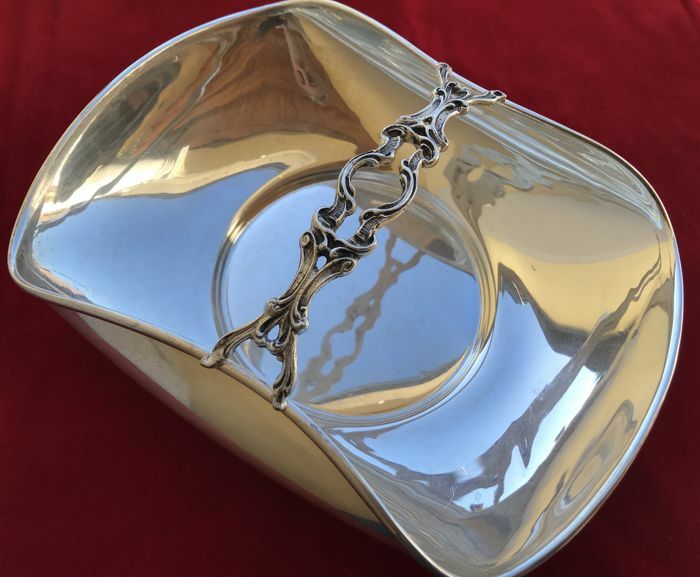 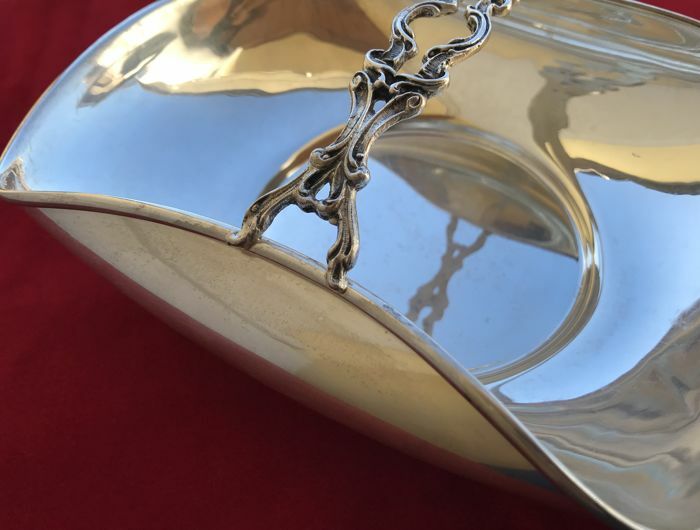 Created by the Italian silversmith Fasano S.n.c. 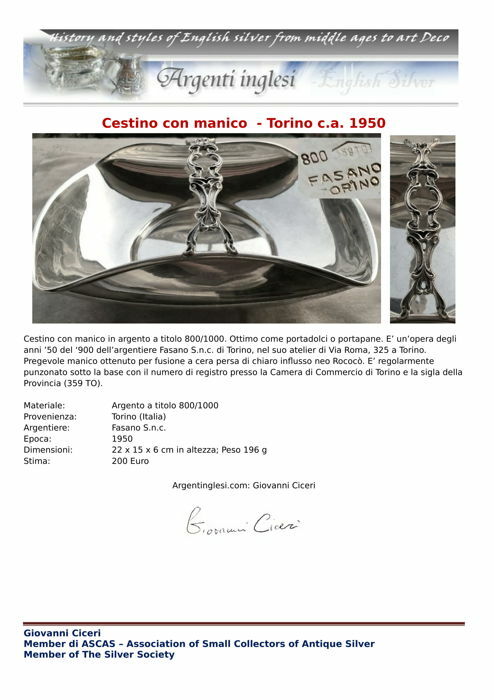 Careful protective packaging and tracked shipping.